The Concept of the Show is bringing several celebrities to the show and asking about their real life incidents and Personal lives. Rana has huge belief in the concept of the show. He also thinks that he is surely apt for the show. As Per Inside Reports Gemini TV offered a Large amount to the Rana Daggubati for the show. 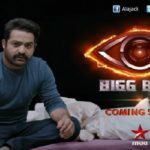 Recently, Junior NTR also confirmed to host Big Boss show in Maa TV. We have seen so many Tollywood Star Making Their Small Screen. Now Rana came with No.1 Yaari Show with Rana casting in Gemini TV. We have to wait for some time to see the show trp ratings. On Work Front Actor is Currently Busy in Shooting For His Upcoming Film Nene Raja Nene Mantri This film political thriller has Rana Daggubati portraying the role of Raja Jogendra, and the film which is all about love, lust and power is a commercial Telugu formula.The movie also stars Navdeep and Ashutosh Rana. It is a political drama directed by Teja with Suresh Babu as the producer, forming part of the crew. The expectations on this film are high, especially after Rana’s success with SS Rajamouli’s Baahubali franchise. The teaser of the film has been received well by the audience. Watch Space For More Film Updates.